A fresh Sylius project will use *.yaml files by default, which are living in Resources/config/doctrine/. This is configured in config/packages/doctrine.yml at the very bottom. Its easy to switch to XML format by changing the yml to xml. 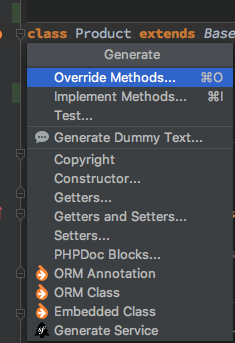 Of course you have to migrate any existing *.orm.yml to *.orm.xml. As a newbie to Sylius and Symfony, the many configuration files are overwhelmed me, so I decided to reduce them by doing the database mappings inside my models using Doctrine Annotations. Since Sylius recommends the usage of YAML or XML (for reasons I don’t know), there is no documentation available about how to switch to annotations. However, after some trial and error I got it to work. change the path from the folder with the config files to the folder with your entities / models. I like this approach much better than have the mapping somewhere else hidden.